As supplied to car manufacturers and prestige and classic car dealerships, our Official Vauxhall super soft, super stretchy and super strong indoor car covers are carefully designed to ensure they will fit your car as snugly as the cars in the pictures. Available in Black only, the lycra blended satin fabric ensures the cover clings to the contours of your car, whilst the tightly woven fabric protects against dust and other pollutants but, very importantly, remains breathable to prevent condensation forming on your car. The super snug fit and low profile seams ensure a sleek finish and a cover which not only looks amazing but also provides protection against knocks and dings. The logo is a high grade vinyl and applied by heat seal press to last a lifetime. Our covers are supplied in a generously sized zip-up bag, with detailed fitting and care instructions – they are machine washable and can be tumble dried. A name tag is included, so if you have more than one cover, you can label and quickly recognise which cover is meant for which car. All covers have a small, discrete silver Richbrook logo on one side. 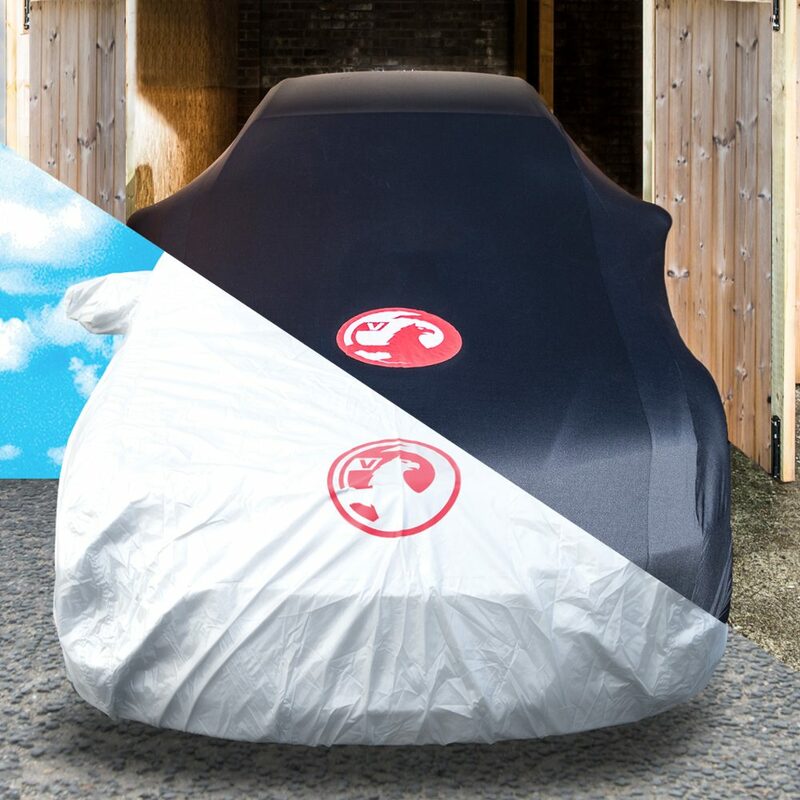 Our Vauxhall approved Tailor Made Car covers are designed for outdoor use but due to their lightweight construction are also perfect for indoor use. Our exclusive UK designs for your particular model ensure that the cover fits snugly and elasticated hems and a unique detachable strap system is included for ease of fitment. Fabric breathability ensures that damp or condensation can evaporate away from the covered car whilst water resistance is maintained by a special bonded coating that ensures that 95% of rain is shed from the fabric surface. They are manufactured from a latest generation 210G lightweight silver fabric that reflects UV and sunshine and has a very high tear strength, yet weighs less than 2kg! They feature double stitching for strength and elasticated hems. There are 2 detachable and simple clip-to-fit undercar straps to keep the cover secure in windy conditions. The construction and durability of our Vauxhall covers makes them a favourite in both hot climates and very cold conditions. The fabric is non-abrasive and compresses down to a compact size that is ideal for tucking away in the boot when not in use. They are supplied in a generously proportioned zipped storage bag. There is a name tag on the bag so, if you have more than one cover, you can label the bag and quickly recognise which cover is meant for which car. Double stitched seams are used throughout to maintain a watertight finish and long life. 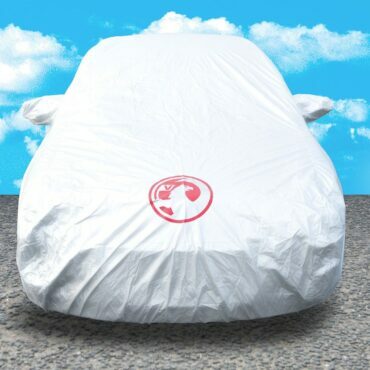 Our Vauxhall covers have been designed for cars that remain outdoors year round and will provide great protection against rain, ice, snow, frost, tree sap, birds, pets, dirt, dust, hot sunshine, scuffs and scratches. The fabric is 100% UV resistant and suitable for continual use in all weather conditions. In summer they keep interiors cool and protect against top & interior fade and degeneration. We have covers to fit 99% of cars ever made – but not for vans, commercial vehicles or kit cars. Our car covers usually, but not always, feature fitted door mirror pockets. But, on certain classic cars, mirrors were dealer fit items with differing mirror positions on doors or wings. For these models we have made an allowance to ensure that the cover will accommodate the mirrors if fitted. They are tailor made to order so will be delivered to you via courier in between 2 and 3 business days.